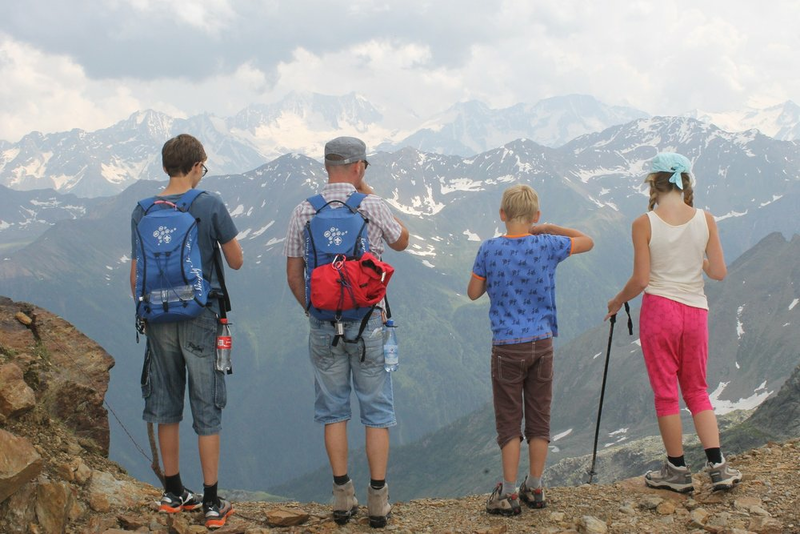 A family round trip is a great way to spend time with your loved ones and get to explore the world with them. There are certain factors that determine how well these trips go, such as how well your family is integrated, how much you are willing to spend on them, how timely and luxurious the travel is, etc. One such factor is the products you carry. It is crucial that you make the right decision with regards to them. Even if the product in question is an electric scooter, if you feel it adds to the experience of your child in that new area, go for it. There are certain products, however, which are crucial for you to carry and enhance your round trip experience. These small toys can be very impactful while traveling. Children are looking for constant entertainment, and while getting on a flight or reaching the airport is an exciting experience in itself, there is no denying that these small toys will be the primary items that will keep your kids occupied. Keep a box of Legos, a few puzzles, toys such as favorite dolls or actions figures, or simply some crinkly or coloring books that can get your child through the more repetitive times of the trip. While on the flight, for example, it is a nice way to be kept occupied and alternate between looking outside and playing. The idea is to find a distraction for your child, and make them as productive as possible. If somebody is trying to convince you that these earphones are not a necessity, try not to listen to them. In fact, these headphones become a constant companion for your neck as your roam around, and you can switch the music on from listening to the hush outside in the city or on the transport vehicle in a second. Getting tangled wires as you are trying to do something while listening to music is the worst thing that could happen. The best solution is a pair of wireless headphones, such as Beats by Dre Solo 3 Wireless, which can keep things entertaining and convenient as you go along. In this case, the longer the battery, the better things become for you. The fun of a trip is in the long walks that you take around the cities or suburban areas that you go to. Being stuck in sandals or formal shoes, or uncomfortable walking shoes, in this case, is not something you would prefer. The perfect solution is a pair of sneakers that you can just lace on and go ahead with because they will keep your feet comfortable for most of the long walks that you take. In addition, sneakers such as Hoka One Challenger ATR3 are such that they give an incredible touristy vibe and really add to the overall feeling of traveling. Avoid formal wear; go with what keeps you in shape. Traveling should act as no excuse for avoiding hygienic activities, which should be a constant in life. Finding running tap water everywhere you go is not exactly a good way to keep track of how clean you stay, especially when you are traveling with kids who eat food items and touch every other thing they find intriguing. Your bag should be equipped with wipes and sanitizers. We recommend wipes along with tissues simply because they can help in cleaning up a lot more thoroughly. Sanitizers are increasingly becoming a good replacement for direct reliance on water, and having a bottle ready to discharge will keep your travel safe of the worry of excessive germs. As suggested before, traveling with kids brings about an entirely new dimension of going around the world. You get to appreciate the beauty of the place you go to more because you see your child is intrigued by every other thing. On an electric scooter that feeling of surprise and joy of being in a new place is alleviated. You can get it from here: http://scooterscouter.com/best-electric-scooters/. Micro scooters are very easy to carry, are not heavy, and can be compressed into being packed without the worry of them breaking in the luggage. The benefit they bring is that your child will not get tired of excessive walks, and will always have a plaything in the form of the scooter in the event that you are waiting to go somewhere or the child is left in the custody of the elder sibling. The more equipped you are for a trip, the better the overall experience will turn out to be. Do not hesitate to try out new things, but when it comes to essentials, then these or close alternatives to these are your best options.